As I watched the festivities Saturday for the opening of Tongva Park and Ken Genser Square I couldn’t help but reflect on the history of the past 25 years of planning for the Civic Center and the various characters (and I mean that in at least two senses of the word) who had been involved, but there was one name that particularly came to mind: that of John Jalili, the former City Manager of Santa Monica. I don’t recall hearing Jalili mentioned in anyone’s remarks Saturday, but he was a key player. After the 1994 earthquake Jalili established the City’s earthquake recovery redevelopment district, a district that covered most of the city and included downtown and the office/industrial corridor along Olympic. This took some chutzpah, since even with all of its earthquake damage Santa Monica did not fall obviously into the “blighted” category that was the justification for redevelopment. 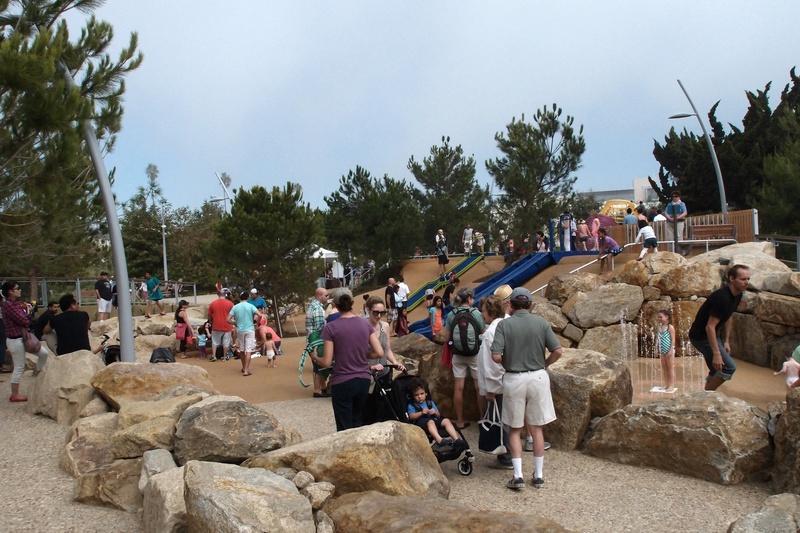 The City used tax-increment money generated in the redevelopment zone from new development and re-sales of appreciated old development to fund the $53 million the City used to buy 11 acres from RAND, of which the new park covers about half. Ironically, or tragically, depending on how you look at these things, with the end of redevelopment the State of California now wants this money back, along with redevelopment money the City used to build parking structures and other infrastructure projects. If the City doesn’t pay up (or prevail in litigation) at least in theory the State could “repossess” the park. 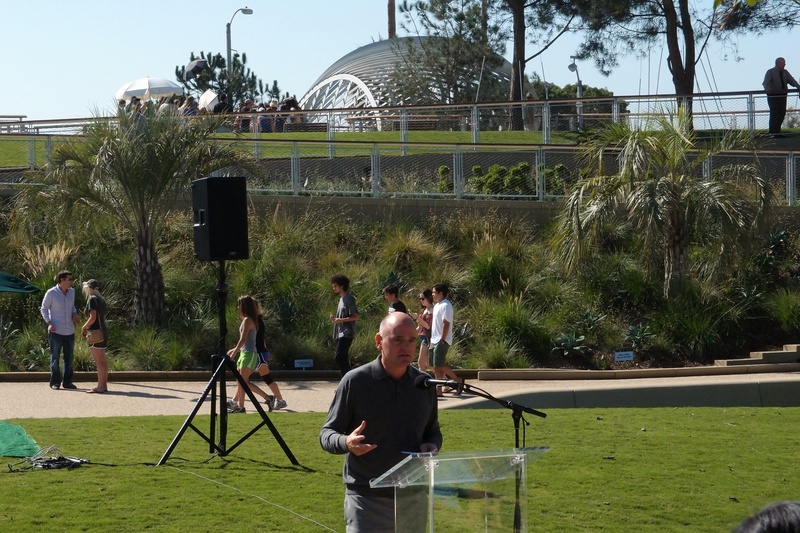 One can make moral arguments against how redevelopment money that would have otherwise gone to fund schools and other public purposes was at times used in California to subsidize private developers in certain areas at the expense of other areas not getting the subsidies, but at least after Saturday’s glorious grand opening of the park, Santa Monica can hold its head high — we spent this redevelopment money to build a beautiful park in a location where it can and will serve the entire region. The park design is a triumph, and to comprehend how triumphant it is, one must consider how difficult the site is for a park. On the northern edge, between the park and downtown, that’s not a river flowing languidly, under “Morty” the big fig tree, to the sea, that’s a freeway. And think about it, how much cause do people usually have to walk between City Hall and the Pier? For about 20 years I’ve ridden my bike nearly everyday over the Main Street Bridge, I can assure you few pedestrians find reason to walk on that stretch of Main Street. 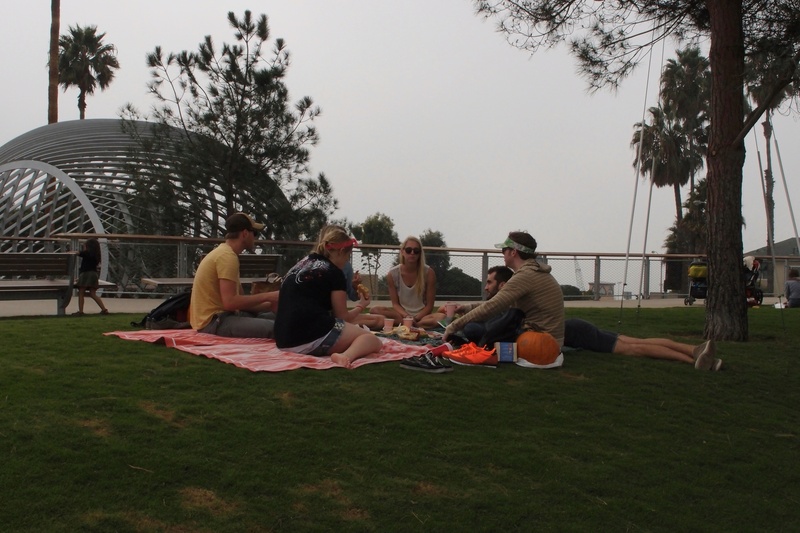 To create a park that would stitch connections between downtown, Ocean Avenue, City Hall, and the rest of the Civic Center, as well as attract people to a location hard by a freeway, designer James Corner and his team had many challenges. While the site will be helped when the Olympic Drive extension opens along the southern edge, with the new apartments and ground-floor retail facing the park, and it will be great when Chez Jay opens its patio, the designers had to create a park that would be an attraction in and of itself, without becoming something other than a park. While it’s too early to know for sure — we’ll know in a few years, after the novelty wears off if the park attracts enough users to keep it active — I suspect Corner succeeded. One reason — no pun intended — is that the park has a lot of … corners. There always seems to be another angle to turn at and see something new. The park is not a maze, but it is a bit amazing how in a tight space, about six acres, the park presents so many different “habitats” for the human species to enjoy itself and get lost in. I suspect in a metropolis where most parks are either wilderness or dedicated to recreational uses, people will be attracted to and want to use a park that is a living, interactive sculpture. The group “String Theory” performing Saturday. 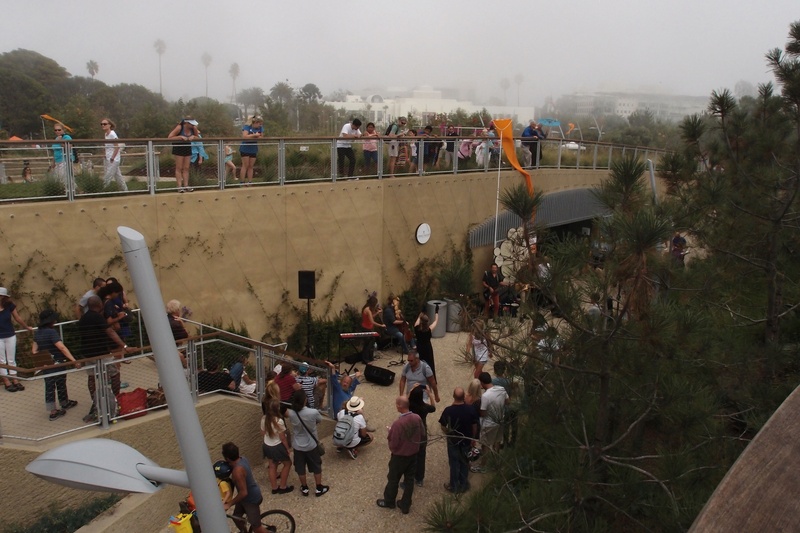 This entry was posted in Uncategorized and tagged Santa Monica parks, Tongva Park by Frank Gruber. Bookmark the permalink. I still don’t understand the point of building a park that serves no purpose. 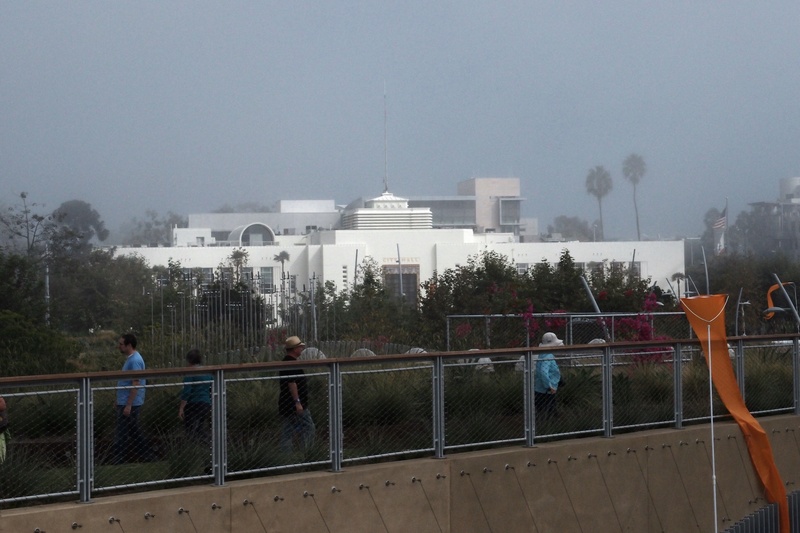 I don’t see this park being anything other than a haven for the homeless and a place for some people on jury duty to hang out during lunchtime–sort of Santa Monica’s version of Pershing Square. The only virtue of this place is that it mollifies Santa Monica’s BANANAs who get six acres of space that generate no traffic because nobody has any reason to go there. We should have used the space for something that generates revenue for the City (like renting it out to private trainers?) or for some recreational purpose that we need (like a new softball field for SAMOHI, which doesn’t have one anymore). I know it’s too late to do anything about this park, but I have the same comments on the Civic and the Airport. Not wishing to rain on anyone’s parade because a new park is a big thing to celebrate, but really — $42 million??????????? Maryanne — you and I both remember when 25 cents bought a loaf of bread, but $42MM isn’t what it used to be. The cost of constructing the park was less than $200/sq. foot — have you tried to build something lately? And even though less of the park appears built than, say, a building, it’s a highly engineered space that had to deal with site issues that normal construction wouldn’t need to deal with. So I would say we got what we paid for — and in this case, that’s good news. F.